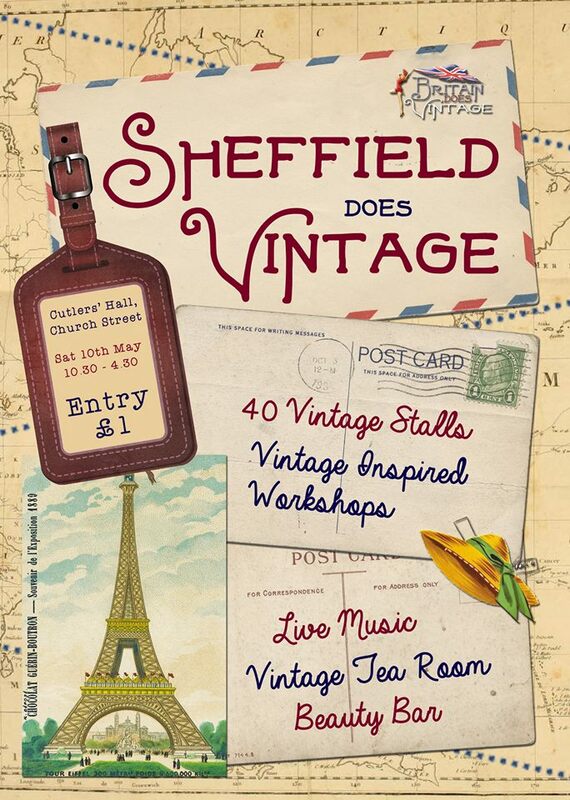 The Sheffield does vintage fair is back in Sheffield on Saturday 10th May. The event will be hosted at The Cutlers’ Hall on Church Street, which will contain rails of vintage clothing, jewellery and accessories. Doors will be open 10.30 – 16.30 with an entry fee of £1. Stall holders are hand picked traders with years of experience under their belts. As well as vintage clothing, the event will include a vintage tea room, vintage inspired workshops and a pop up beauty parlour, which will include old school heated rollers. Live music will also be played by Harmony Handsworth amongst others. 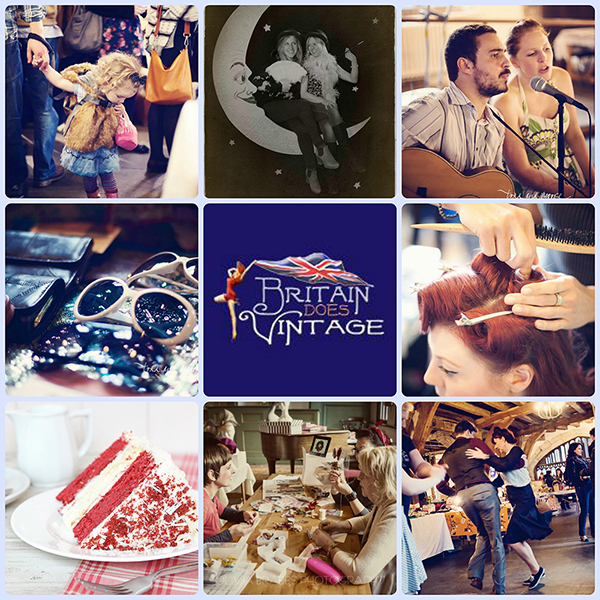 Those who want to attend can either pay on the door or register early at http://www.britaindoesvintage.co.uk/sheffield-vintage-fair/ you can also get more information and keep check on other Britain does vintage fairs around the country. Yorkshire’s premier shopping destination is getting ready to welcome thousands of students on Thursday 8th May for their student lock in. The event will take place at Meadowhall Shopping Centre between 6pm-9pm where students from across the region can enjoy offers and discounts at their favourite stores. The spring student lock in is looking to be a big one as hundreds of high street stores and high-end brands are offering discounts, including 20 per cent off at Urban Outfitters and 15 percent off at Celeb Boutique. Other shops are even offering a 50 percent discount including; Footasylum, New Look and Schuh. Krispy Kreme are offering their ‘Double Dozen’ for just £12. There will be other events going on throughout the night for students to enjoy. Capital FM presenter Simon Hirst will be entertaining the shoppers with live music, a bucking bronco and a surf simulator. 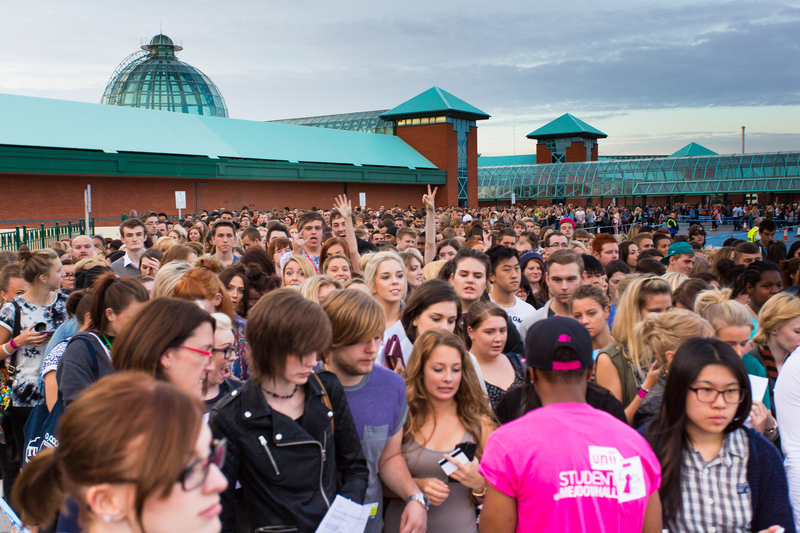 Events manager Alex Caley said: “The Meadowhall Student Lock in is always a highlight in the calendar and we’re looking forward to welcoming thousands of students through the doors at this week’s event. Meadowhall has excellent transport links that students can use, due to the Meadowhall Passenger Transport Interchange (MPTI). This has facilities for local and regional bus, train and supertram services. Lauren McCullough is a third year student at Sheffield Hallam University, whose work will be in the fashion show on June 19th. 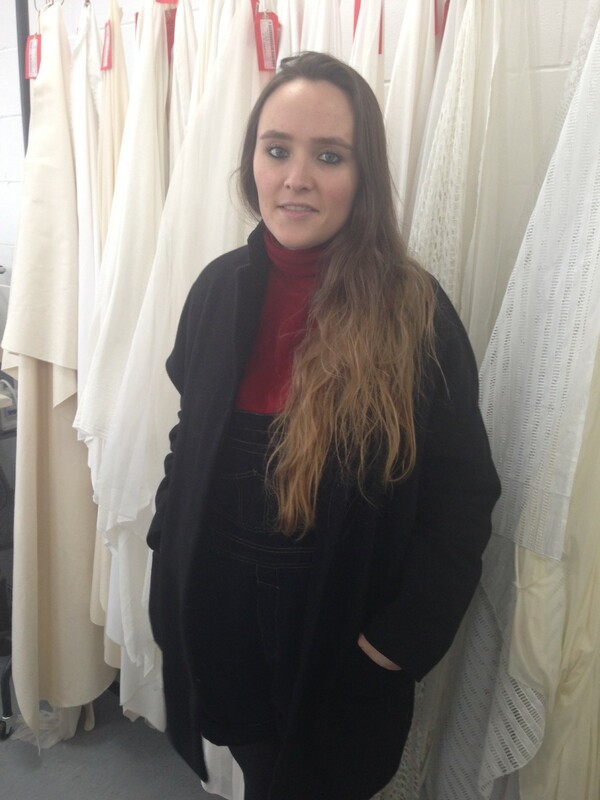 The 22 year old has always wanted to study fashion and has always loved making and designing garments. Lauren describes her collection as ‘over the top’. She says, “The colours are very bright and the prints and colours are made to stand out.” The collection is based on the idea of hallucination, which Lauren says is represented in the contrast of the colours and the prints that she has developed. Lauren’s work has 15 pieces, including accessories such as necklaces (See picture). She said to have used plastic for her jackets and print mesh and she also screen printed cotton herself as well as using silk. When asked how she came up with the idea of hallucination, she said, “I was just thinking about colours and the contrast of colours and it just came to me.” Lauren’s own personal style is much more subtle and she likes to shop at the usual high street shops such as Topshop and Urban Outfitters. Lauren didn’t have inspiration from any designer in particular when designing her own collection for the show. However designers she does look up include Vera Wang and Stella McCartney, both big time designers who have been known to make their work stand out from the rest. 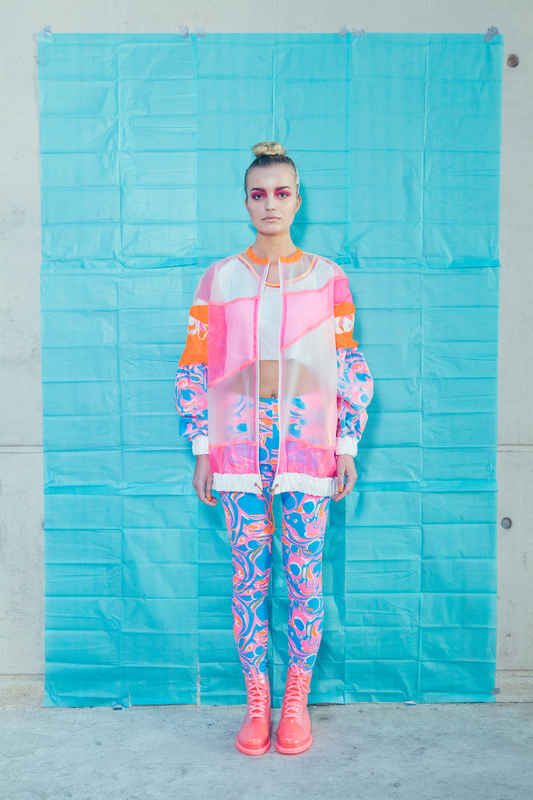 Lauren’s work will be launched at the fashion on June 19th at the Millennium Gallery in Sheffield. All pictures of Lauren’s work (below) are from her look book. 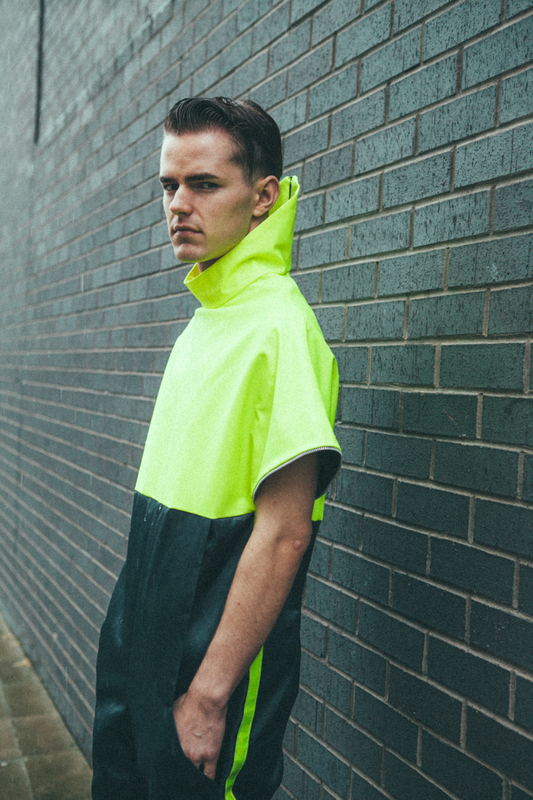 Emily Hewitson, a 22 year old fashion design student at Sheffield Hallam, has designed a collection for men for the end of year fashion show in June. The third year student says she has ‘always been creative’ and did textiles at school, which lead to her love of fashion and fashion design. Emily’s unique collection for men has 23 pieces. She said, “My collection has an avant garde style, it’s very out there.” Her collection includes big jackets, leggings, shirts, trousers, skirts, headpieces and masks. 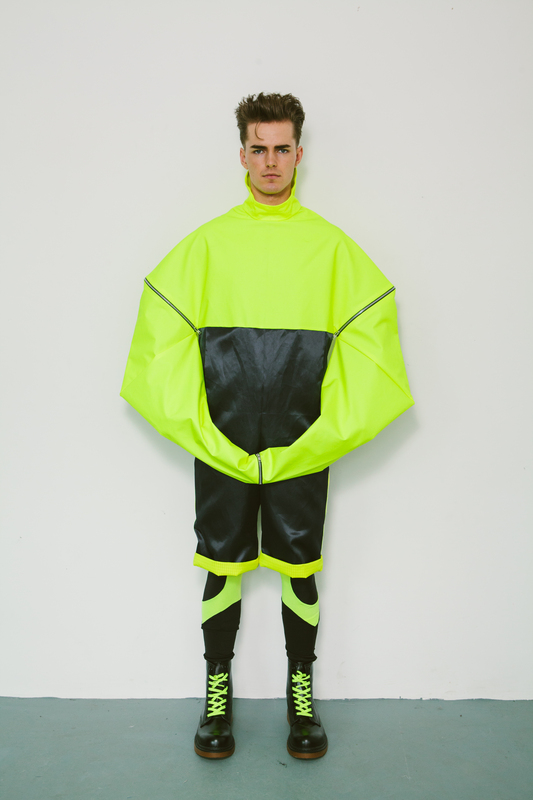 There is a florescent yellow colour running through the collection, which complements the sporty look that she has created. She describes her personal style as casual and although she says her own style hasn’t been reflected in her work she says, “I like masculine shapes when dressing myself and I love vintage shopping at places like Blue Rinse, which is in Leeds.” She also says she likes the generic Topshop and Urban Outfitters when shopping. 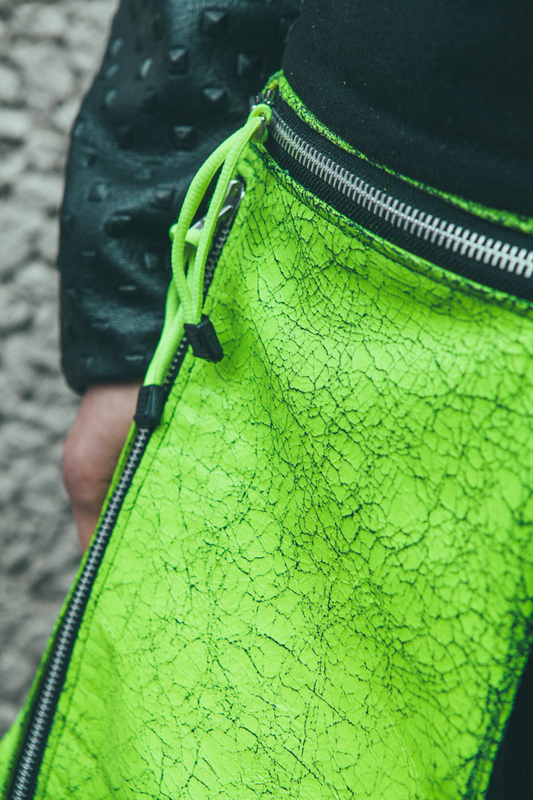 The collection includes lots of different fabrics, giving it a certain edge. These include; leathers, white cotton shirting and 100% lycra. Emily used florescent trim piping, to create this stand out look. She also used satin and waterproof polyester. Her designer influence for this collection is Astrid Anderson. 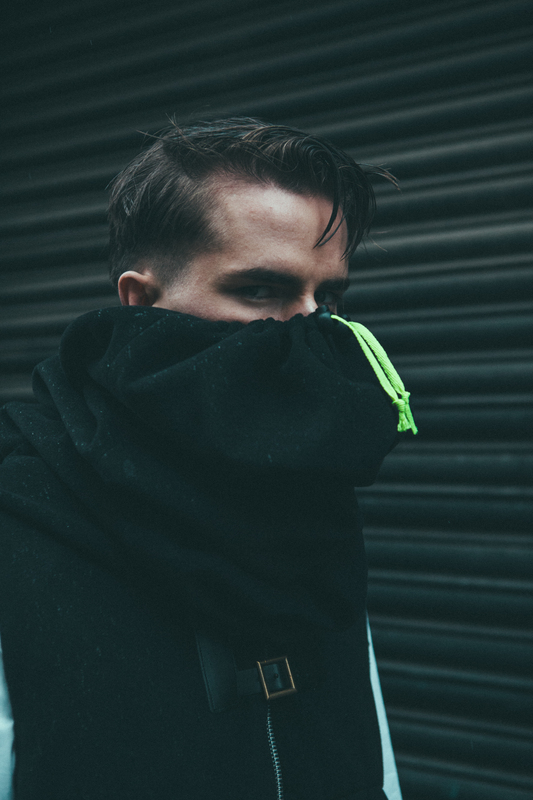 He is a men’s fashion designer from London, who is known to bring feminine fabrics and colours to masculine styles. “His designs have a sporty approach for everyday wear which is what inspired my collection and the fabrics that I used,” says Emily. 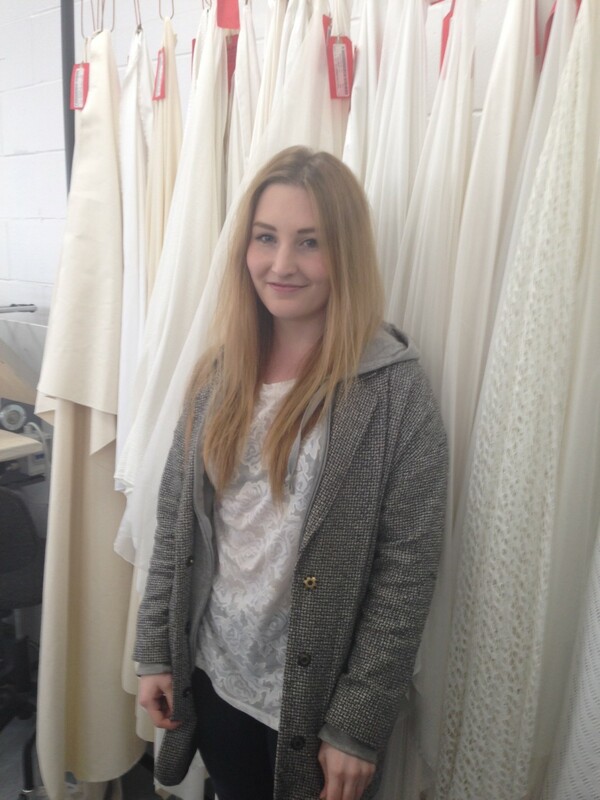 Emily’s designs will be on the catwalk at the fashion show on June 19th at the Millennium Gallery in Sheffield. Photos of Emily’s work are from her look book. The talented student has designed a collection of Women’s clothes for the fashion show, which is all inspired by the idea of fruit decay and how fruit changes. “I chose this because I noticed the decay of fruit is beautiful, something that doesn’t happen with other things.” Goya said, “the colours go light and I feel this is shown in my collection.” The collection includes skirts, a coat, a jacket, dresses, trousers and tops. 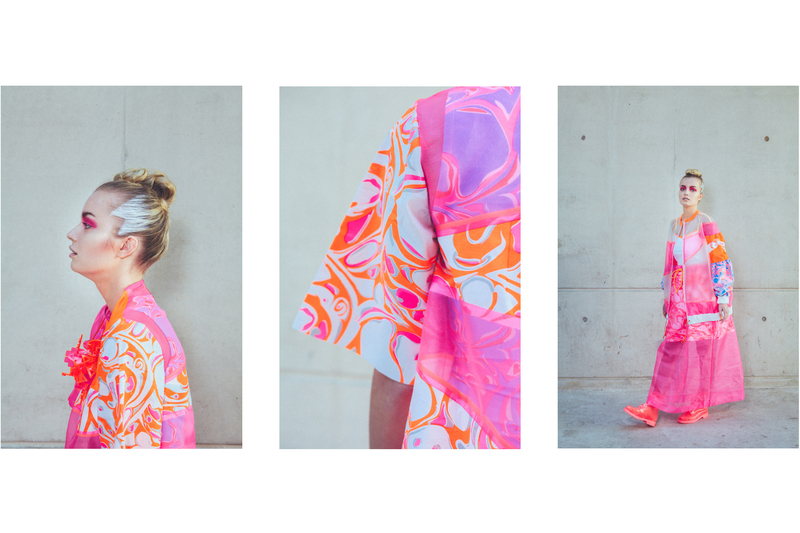 She describes her own style as ‘Vintage’ and says she loves Japanese patterns and designs. 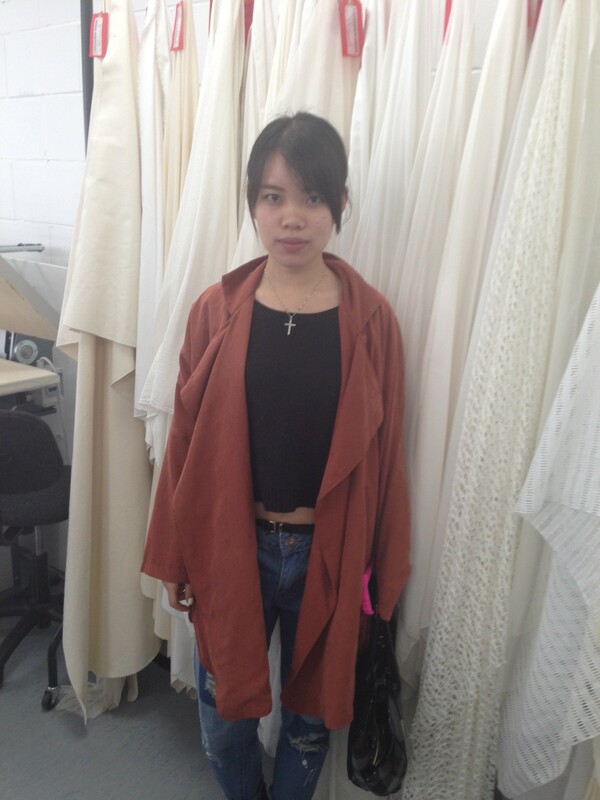 Her inspiration is Vivian Chang, who is a young designer from Beijing. Chang has won awards for her designs and her brand ‘crush’ has been sold in different parts of the world; from Beijing, to New York. Goya’s dreams are not just for her but her family, who she hopes to make some money for by embracing her love for fashion. Goya has already made clothes for herself such as dresses and trousers. She has also sold tops and shorts to friends, which she made when she was in China. 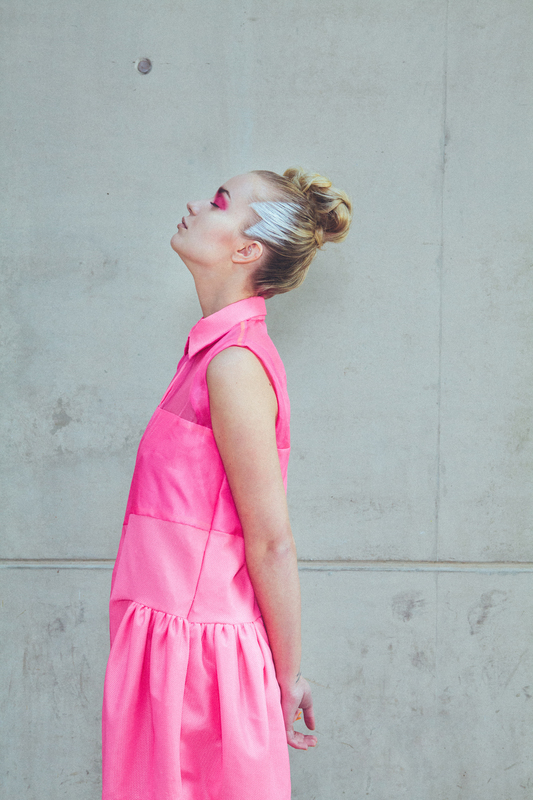 The student’s collection will be showcased at the fashion show on the 19th June at the Millennium Gallery in Sheffield. The photos below are from Goya’s look book. Fashion design students who are in their final year at Sheffield Hallam University are holding a show at the Millennium Gallery on June 19th. 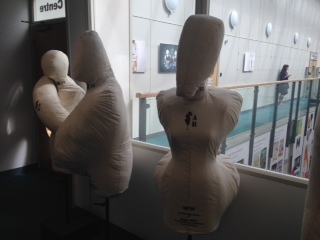 The show will unfold the students’ work that they have created as the final part of their degree. Each third year student will present at least 15 pieces making it up to 6 different looks in total which they have created from scratch. 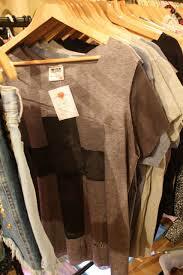 They are responsible for creating garments and patterns and have to go to extensive research. Preparation for the show is still in progress and meetings have been taking place between the students to make sure that everything is being put in to place. Students are involved in every aspect of the process of the show. Models are hired by tutors from Boss Model Agency and second year students are given the opportunity to be involved, as they are taken down to the agency to help with the selection process. If you interested in fashion or attending the fashion show, follow @SHUfashionDes on twitter for updates.